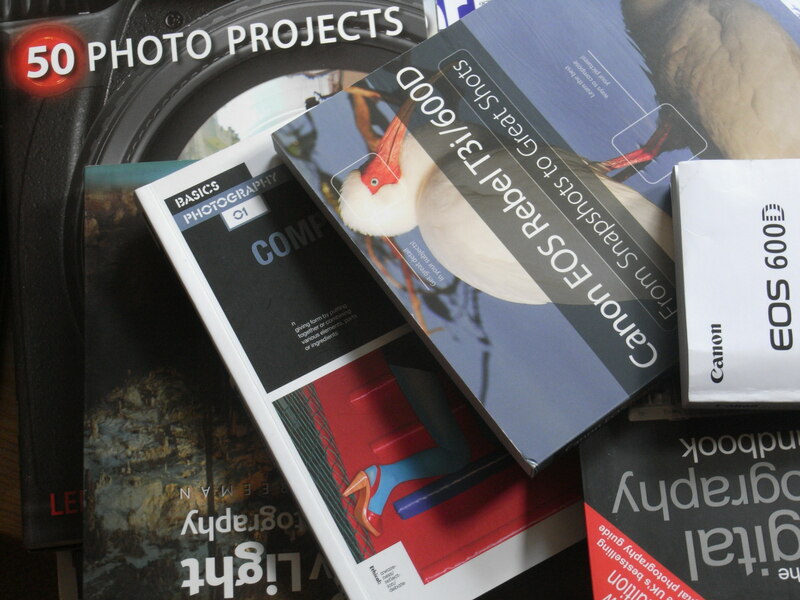 A grand term, photographic library, perhaps for the small accumulation of books on digital photography which are currently dotted around the house (note to self – put all the photography books in one place, preferably where I can both find and reach them easily). But, although I have yet to do anything more with my new Canon EOS 600D than depress the shutter button with the camera in full auto mode, I have not been entirely inactive. Scouring my bookshelves, and those of Waterstone’s and Amazon, has resulted in a small but hopefully compelling resource of photographic wisdom, inspiration and guidance to direct me the coming virtual photowalk. I am a at home with books, a natural book- rather than do- learner, but I guess there’s also an element of ‘all the gear and no idea’ going on here too. I have also splashed out on a slew of photography magazines replete with page after page of gloriously rich images. As I go, I shall try to record how helpful each is as well as working through the array of photographic and post-capture projects, assignments, tasks and tours suggested. I’ve taken a wee picture of them with my old Ricoh.